My inspiration for this post came while I was working on the meteorite case for the lab. Initially we were going to put a relatively cheap meteorite in the display, but then we decided that wasn’t such a good idea. So, the next best idea was the throw in a few impactites. These are rocks that had the rather unfortunate (or fortunate depending on how you wanna look at it) luck to be in the zone of a rather large meteor impact. The extreme heat and pressure from these events really plays hell on the surrounding rocks. 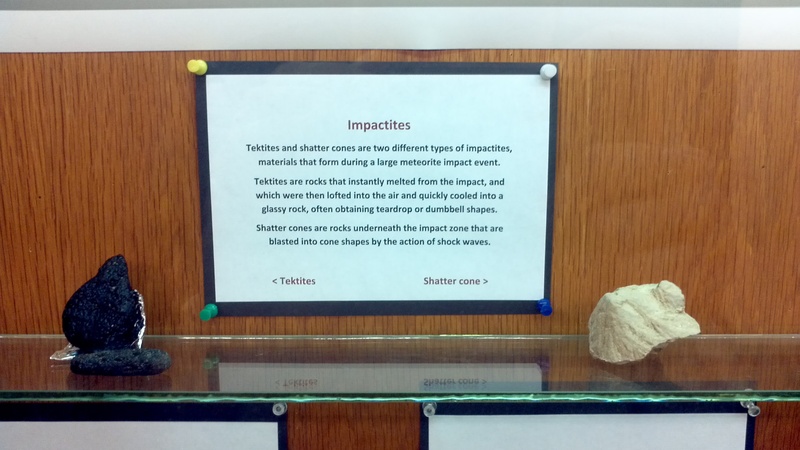 Impactites come in two flavors: tektites and shatter cones. 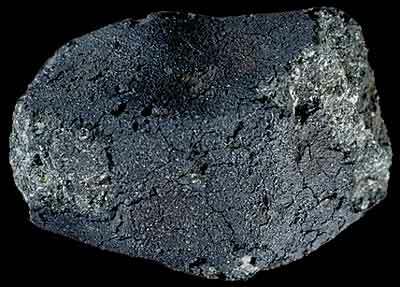 Tektites are rocks that instantly melted and were flung into the air from the meteor impact. While airborne, the molten rock quickly cooled and took on an aerodynamic shape. Such shapes include tear drops, dumbells or even that of an inverted button found among Australites. Tektites are found only at four impact craters across the planet. As such, they can almost be as expensive as the meteorites themselves. The origin of tektites has been hotly debated in the past. 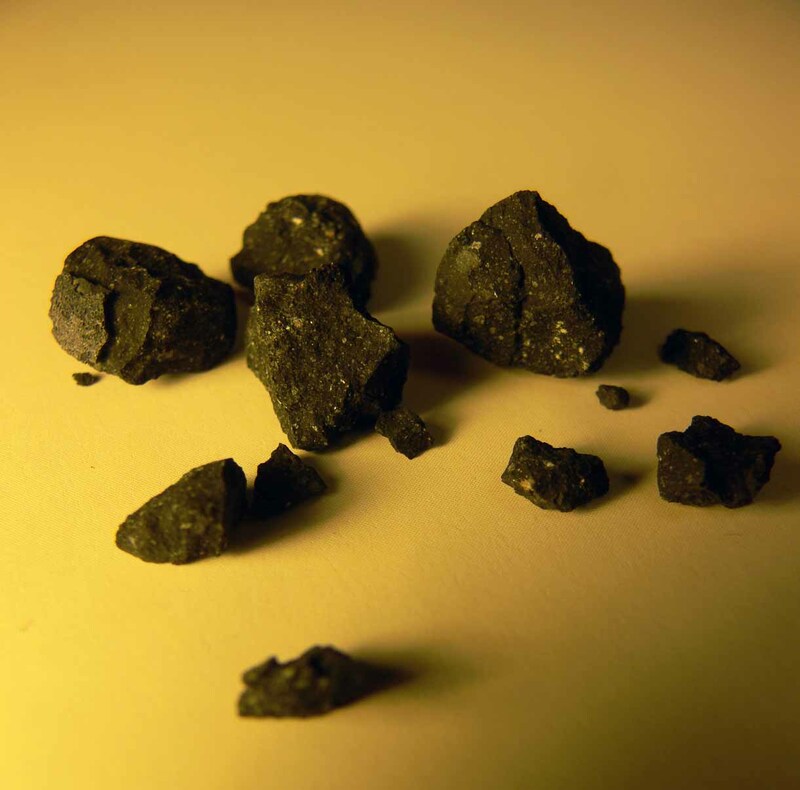 In the 1950’s and 1960’s, researchers suggested that tektites were actually of lunar origin. However, tektites lack certain noble gases that are common to lunar meteorites (1). Shatter cones are formed in the bedrock underneath the impact zone. They form at a relatively low pressure of less than 2 gigapascals (GPa). To put that into perspective, 2 gigapascal translates into approximately 290,000 psi. 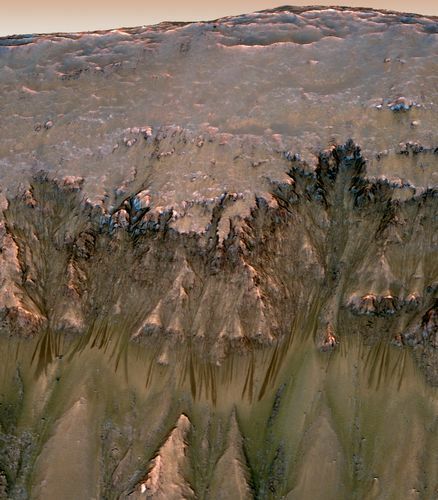 A shatter cone outcrops is a good sign that one is standing in an impact crater (2). These images of Enceladus were released just a few minutes ago by Carolyn Porco, the awesome principal investigator for the Cassini Mission. They haven’t been through photoshop or cleaned up in anyway, but they still look gorgeous in their unprocessed state. 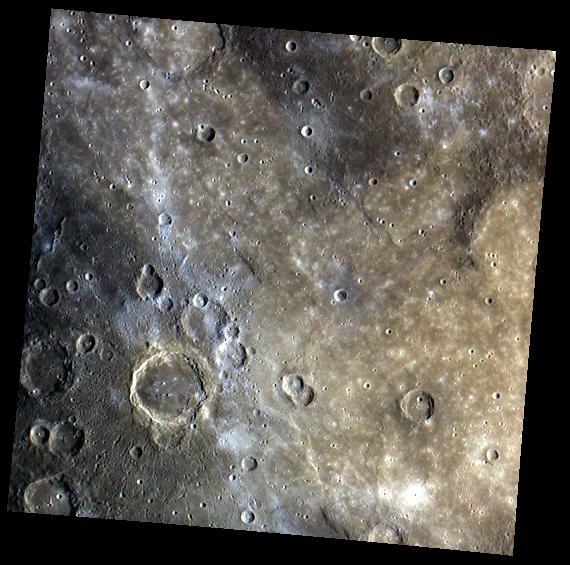 These pictures are made available through CICLOPS (Cassini Imaging Central Laboratory for Operations) which is the team responsible for gathering all the visual goodness that Cassini acquires. I highly recommend checking out their website as they have a ton of great information and pictures concerning the Saturnian system. This post marks the first of, what I’m hoping to be many, a weekly series about various meteorites. I love space rocks as much as I love their terrestrial cousins because they recount the history of our solar system. In the simplest of terms meteorites are basically chunks of natural space debris (i.e., not from man made objects) that survived their descent through the earths atmosphere and the resulting collision. These objects come primarily from asteroids such as Vesta 4, but a few have been found of lunar and martian origin. A carbonaceous chondrite is basically a big ball of space mud that can contain up to 20% water (I’m not remembering where I read that, so that number may change when I find the source). They are fairly soft and don’t survive their sojourn on the earth to well. These chondrites also represent the most primitive matter drifting through the solar system and have undergone the least amount of chemical and physical change when compared to ordinary chondrites. It’s estimated that they represent roughly 5% of the meteorites that are observed and collected upon entry to the atmosphere (1). As of last month a carbonaceous chondrite found itself in the center of a controversy when a NASA astrobiologist, Richard Hoover, declared that he found fossilized bacteria in a specimen discovered in the late 1800’s. I won’t go into his claims here because this isn’t a biology blog and I don’t have the expertise to handle such a topic. If you’re really interested you can click here and read the abstract. Also a quick google search will bring up all the arguments for and against Hoover’s claims. Bischoff, A.; Geiger, T. (1995). “Meteorites for the Sahara: Find locations, shock classification, degree of weathering and pairing”. Meteoritics 30 (1): 113–122.